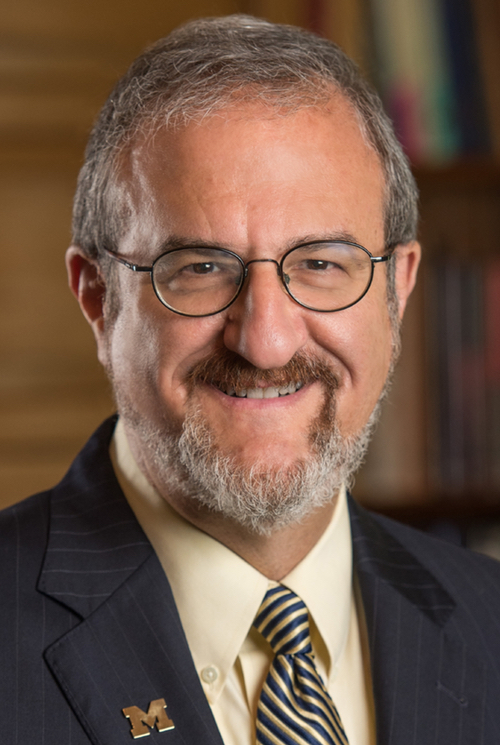 Mark Schlissel is president of the University of Michigan, Ann Arbor. Take the smartphone from your pocket and skip your flu vaccine. Get rid of the radar that guides our planes to safe landings and steers our soldiers away from landmines. While you’re at it, take down the “Now Hiring” sign from advanced manufacturing plants in places like Iowa, Kansas and Indiana, and take away that bike helmet from your kid. All of those innovations, and many more, came from university research funded by the federal government. From research that stops pandemics in their tracks to designs that help schools withstand earthquakes, every person in America benefits. The research and opportunities provided by U.S. colleges and universities drive our nation’s economy, prepare our graduates for the best jobs, and help keep our nation safe. The new administration’s proposed budget cuts to agencies that support research would have severe consequences on our universities’ ability to produce these benefits. Our global competitiveness and economic prosperity depend on strong and steady support of research that grows ideas into products, and students into educated graduates. This is why American companies are incredibly eager to market our inventions and hire our graduates. The Council, of which I am a member, is comprised of leaders from every sector of our economy, including CEOs, universities, organized labor, and national labs. It was established in 1986 as a result of the work of President Ronald Reagan’s Commission on Industrial Competitiveness. It’s not just existing companies that benefit. The entire biotechnology industry grew from fundamental, but seemingly obscure research on how life operates at the molecular level. Now we have rapid tests for infections and therapies for previously untreatable diseases. But most of this would not have happened without federal research funding to support and develop ideas at their earliest stages, and keep them moving along. University research also produces the startups that grow and hire talent in our cities and towns. Since 2002, Michigan’s three largest public research universities, University of Michigan, Michigan State and Wayne State, have spawned 210 startup companies, led by entrepreneurs seeking to take the fruits of research to the marketplace. University research has an additional and very important benefit: It increases the level of talent in our workforce. The knowledge we create and skills we possess are taught to new generations of students, who go on to succeed in the job market and produce innovations of their own. Federal investments in student opportunities make this possible. While universities must do their part to provide aid to students with financial need, this is again an issue of national competitiveness. Investments in programs such as Pell grants, federal Work-Study and Supplemental Educational Opportunity Grants, will allow more of our children to graduate with the advantage of an American college degree. Enhancing global competitiveness also means attracting the best international talent to our universities. We are preparing students to work in a multicultural and globalized society. This requires that they have the opportunity to study alongside peers from other countries, people who will be their future co-workers, customers and neighbors. This is not only is good business, it also increases national security by helping future leaders and citizens from different parts of the world to better understand each other. The federal government currently has a strong system in place to ensure accountability in funding. Grants are competitive, and researchers must submit detailed proposals that get reviewed by panels of experts. Guided by this peer review, the NIH funds about 19 percent of proposals, and the National Science Foundation funds about 21 percent. Only the best and most promising ideas are funded. A portion of most federal research grants is used to partially reimburse universities for what are known as “facilities and administrative” costs – money needed to keep the lights on, power the equipment, build and maintain facilities, ensure safety, secure labs and provide shared infrastructure. Proposed cuts that treat these necessary infrastructure costs as separate from “direct” research support do not recognize the total cost of performing research and the advantages that arise from our top-tier labs. If you want an example of how federal research spending can make a difference, look no further than the handful of young children who are living, breathing examples of the amazing results of a program on my campus. All came into the world with a birth defect that causes the windpipe to periodically collapse. The condition is often fatal, as it prevents normal breathing. University of Michigan physicians and engineers teamed up to use 3-D printing to design and build a device called a tracheal splint. The research done on this technique allowed them to precisely design and print a splint tailored to each child’s tiny anatomy and implant it during an operation at our C.S. Mott Children’s Hospital. The research behind this life-saving advance was funded with research grants from the federal government’s National Institutes of Health and Food and Drug Administration. As is the case with most research, what starts out as an idea can grow quickly into many other uses. The same approach is now being used to improve surgical training. With 3D printed replicas of human cartilage, early-career surgeons can gain experience with complex procedures like ear reconstruction and the repair of cleft lips before ever operating on a patient. For generations, America’s support of research has made us the leader – and the envy -- of the world. The next generation, now studying in our classrooms and labs, is poised to extend our leadership and status as the world’s No. 1 economy, if we give them the support they deserve through investments in university research and training opportunities. These investments are as important to our strength as a nation as any other federal investment priority. I hope that no one is ready for the United States of America to become a second-tier nation for life-saving discovery, workforce talent, and economic prosperity. I reiterate what I said before, most of the federal expenditures are good. But what is really needed is 535 people, the representatives and senators who approve these expenditures, to realize that every dollar that is spent requires a large portion of borrowed funding. States and local governments can not live that way. We the people can not live that way lest we go bankrupt. Expenditures have to be prioritized so that we do not owe more and more to foreign governments. Limits must be adhered to. Even sacred programs must be looked at. Finding 535 people to do this has proven impossible. As one of many examples, look at healthcare. Should the emphasis be on how best to pay for healthcare, or should it be on the charges for healthcare? Why does it cost $5000 for an MRI from one provider, and $1000 for another (figures from Detroit Free Press investigation of automobile insurance, May 7, 2017)? Why can the same drug be purchased from a Canadian pharmacy at 60% of the cost in an American pharmacy? Why does the cost of your healthcare depend on what type of insurance you have? We need leaders who are willing to dig deep into problems and provide solutions and be willing to put everything on the table. To not do so means we as a country, as stated in this Bridge article, will fall further and further behind. It is absolutely true that improving the education level of our citizens pays big dividends in terms of economic prosperity, but Mr. Schlissel goes too far when he says, "The research and opportunities provided by U.S. colleges and universities drive our nation’s economy, prepare our graduates for the best jobs, and help keep our nation safe." It is only natural that individuals feel that they, and their institutions, play an especially large role in promoting the general welfare. There is no doubt that the research and opportunities provided by our colleges and universities are a valuable contribution to our society, but it may not be nearly enough in the absence of very large economic and social incentives for talented, energetic individuals to exploit those advances in knowledge.